This book is the story of James Baxter's 2,700-kilometre ski up the entire length of Norway, followed by his 3,100 kilometre kayak down the whole of Norway's coast. This eight month journey took him through Europe's most pristine natural wonders; the empty snow-covered spine of Scandinavia's mountain chain, the Arctic taiga forests and tundra, the busy seabird colonies in the Barents Sea, the daunting seas of the Arctic Ocean and the magnificent fjords of the Atlantic coast were just some of the wonders encountered. Through the four seasons of this breathtaking land, James unfolds his story as he slowly passes through it, solely under his own steam. Sheltering during storms and journeying through abundant good weather, he is immersed into the ebb and flow of nature as if on a pilgrimage. Yet there are many encounters with the personalities of the rich rural cultures and communities scattered across this wilderness. The book is intended to be both a narrative and a guide. The entire 6,200 kilometres of the outdoor expedition has been split into 35 sections. Each section is around 200 kilometres, or a week's duration, and many are a very good ski or kayak in their own right; such as Hardangervidda, Jotunheimen or Kungsleden on skis or Nordkapp, Vestfjorden or Helgelandskysten in a kayak. The chapters are not only to inspire a journey, but are also valuable to help plan it, as there is much information about local conditions, natural features and logistics for each section to be gleaned from the story itself. 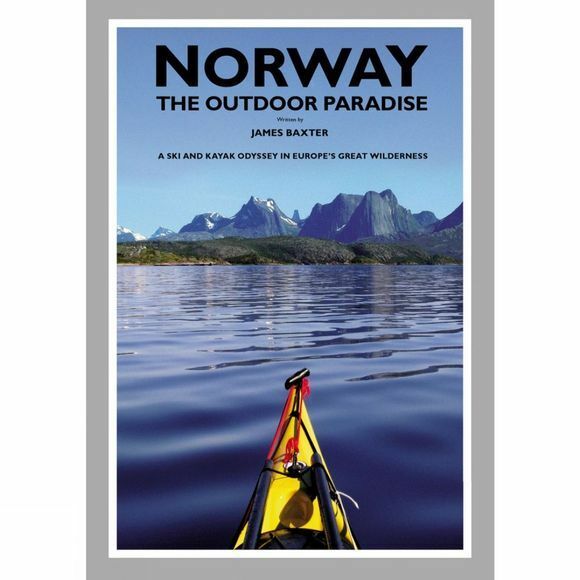 This book is a must for any outdoor enthusiast planning a visit to Scandinavia.